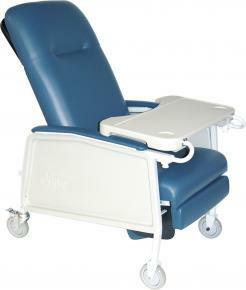 Model 928L Bariatric Wheelchair - Capacity 600 lbs. 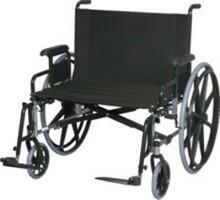 Total Bariatrics offers two stock Bariatric Folding Wheelchairs. These wheelchairs have a weight capacity of 600 lbs. Seat width on the Model 928L is 28". Wheelchair comes with a pair of standard foot rests (No Substitutions), Seat depths is 18" and it has full length removable arms that are height adjustable with screw attached stainless steel clothing guards. Back height is 16" from seat to top of the back. Wheelchair has black upholstery and black frame. Made in the USA. 928L 37" 28" 14" 18.5" - 19.5" 7" - 9.5" 16" 18" 600 lbs.